I have known PT almost my entire life. When I was a kid shooting mule deer on Shirley Mountain with my 7mm-08, PT was sticking bull elk with his American Archery bow. When I was holding hands with the alternate to the color guard, PT was rounding third base with the captain of the cheer squad and the third base coach was signaling, you’re going to cross home plate upright. When I moved to Alaska, PT was already there. While I was shooting black bears over bait with the .300 Weatherby, PT was killing a bear with a spear. You’ve heard of people getting inside someone’s head, well, you might say PT lives inside of mine. When I began to pursue writing, PT was already a successful magazine article writer. Little wonder that my books are about PT and the crazy situations that he sometimes always gets into. I hope PT is somewhere on a sunny beach, with a beautiful woman, smiling as he reads my book. 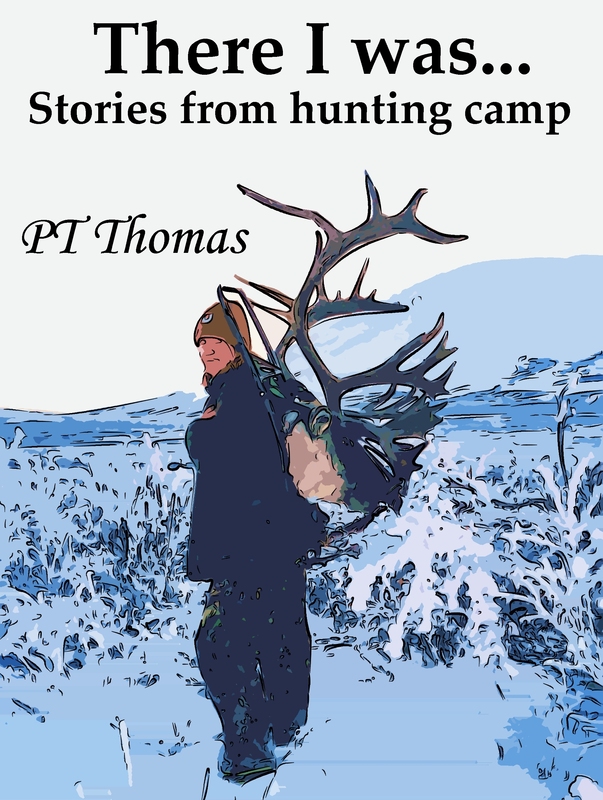 If you would like to read one of PT’s stories from his book, There I Was … Stories from Hunting Camp, click on his book cover. It’s PT’s signature story, The Spearing, his first magazine article, the one that thrust him into his career as a writer. I am sure you will enjoy it.